If you have Windows 7 it is going out of support in January 2020. If you don't want to get a new computer let us know we can help you get to a new operating system. 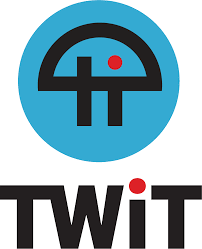 Contact Us -- So we can contact you Try Ubuntu - Want us to do it we will for FREE!!!! As Spring and April arrives, we are about halfway through our 2019 Lenten journey. Our thoughts begin to think of longer days, Easter Sunday and warmer weather to come. I also start to think about getting out the golf clubs and launch day (for my boat)! The council had a very nice Annual Pot Luck Dinner and Award Ceremony for our March meeting. Awards were handed out for the Keep Christ in Christmas Poster contest. Knight in Shining Armor awards: Phil Bonnette, Frank Burda, Ray Coughlin, Ted Czarny, Gino Gattari, Tom Gray, Mike Hartel, Dale Jacks, Ken Krause, Art Krygowski, George Loewen, Phil Mularski and Steve Sleem. Special recognition awards: Leonard & Betty Gutkowski, Phil & Pat Bonnette and Jerry & Sue Hund. Knight and Family of the year awards: Ken Krause and Ray & Sheryl Ignatowski. The beautiful Past Knight Plaque, donated by Don and Marianne Szlezyngier, was unveiled. Please look for it in the church gathering space, near the office with the other Knight of Columbus plaques. Great food, awards, door prizes and 50/50 raffle winners, along with the great comradery of our council. Well done everyone! Nice turnout for Corporate Communion. Wore our council shirts at 4pm Mass presided by our Council Chaplain Father Jerry. Two of our council members, SK Ken Grobbel and SK Vince Cusumano were part of the Color Corp, and David Wisneski was our lector. Thank you everyone for your participation in celebrating Mass together! The next Corporate Communion is on June 23 at the 7:45am Mass. Two more candidates from our recent membership drive have just completed their Admission Degree. Please welcome Deacon Marc Rybinski and Chuck Lybeer to our council! Phil Mularski and Ralph Pullis were their proposers. Our next district degree ceremony is Saturday April 27 here at St. Paul of Tarsus. During the remaining days of Lent, let us encourage some of our Catholic brothers to become a Knight! Our Fry-Day Fish dinners have been more popular than ever thanks to your hard work and welcoming spirit. Thank you everyone for your help and support! Note that Holiday Ham and Kielbasa orders are due on the first weekend of April and the popular Easter Egg Hunt is also coming up on the first Sunday of April! Look for the sign-up sheets for the 44th Annual MI Drive (Tootsie Roll) at our Fish Fry and the next general meeting. Palm Sunday weekend is right after our April meeting. Thank you in advance to John Minicuci, Ray and Sheryl Ignatowski and all the council members and their families for their contribution to this very worthy cause for those with intellectual and developmental disabilities in our community. The first round of nominations for council officers will take place at our April meeting. The second round of nominations and elections will be at our May council meeting. Don’t forget to sell the state raffle tickets received in the mail. Be sure you place our council number on the stub and our council will receive $1 for every ticket sold! This is the major fundraiser for the state. Thank you for signing up to receive the Holy Family Statue at Mass in support of Vocations. If you have not yet signed up, please consider doing so. The binder is located in the church gathering space. Thank you! Road clean-up is scheduled for Saturday May 4. Meet in the church parking lot by 8:00am. The next euchre party is also Saturday May 4 after 4:00pm Mass in the social hall. I have received information from Joe Roehrig’s daughter, that a Spring Memorial Mass will be held for Joe on Saturday May 11 at 10:00am at St. Paul of Tarsus. We will provide additional information as it becomes available. Please see the article for our council camping trip coming up in August. If you plan to camp with us you can now make your reservation! Thank you to all of you who have been at the meetings regularly. Please consider calling someone you haven’t seen for a while and ask how they’re doing. See if they’re in need of a ride or friendly reminder when the next meeting takes place. Still waiting for the early spring to arrive as forecast by the groundhog! Lent is arriving the first week of March, which also means the return of our Fish Fry! See the Fish Fry article for more information. On February 3rd, the Lord called home Brother Knight Clarence Gajewski. Clarence was a WWII veteran and a Knight for over 72 years! Thank you to Phil Mularski, George Loewen, Gino Gattari, Lino, Jerry Hund, Tom Pardo and Ted Czarny for attending the Rosary led by Phil and George. Please remember Clarence in your prayers. Our council just completed a very successful membership drive. Led by Membership Director Phil Mularski, we had eleven new candidates sign up for our council! Eight of them just went through the Admission Degree. Six of the eight candidates went through the Second and Third Degree ceremonies also! Please welcome John Anderson, Larry Bukowski, Gerry Caruso, Ken Gonko, Peter Hopersberger, John Matway, Paul Parker and Michael Roehrig! We are getting the remaining three candidates scheduled for their degree ceremony soon. Something this successful had many people helping Phil. Thank you to Rick Okerhjelm, Craig Thomson, Nick Oliveri, Leon Berdy, Art Krygowski, Ted Czarny, Phil Bonnette, Ken Krause and Mike Hartel who were on the Membership Committee, Speaker at Mass or Proposer during the past recruitment drive. Well done! I know many of you have been working on getting their brother Catholic’s to join our order. Don’t be discouraged, just give them a gentle reminder occasionally that God is still in need of their Time and Talent! We had a very successful Pancake breakfast in February. We served about 220 meals and rose over $2500 (over $1000 in cash donations) for the St. Louis Center – which is a caring, residential, family living and learning environment providing for the physical, emotional and spiritual needs of children and adults with intellectual and development disabilities. Father Enzo Addari, SdC SLC CEO and Brother Knight was present and celebrated 9:30 Mass with Father Ron. Thank you everyone who helped in the kitchen, dining room, attended and contributed to this event. A special thanks to Rick Okerhjelm who organized the food and supplies for the event which is a big undertaking! Great job everyone! 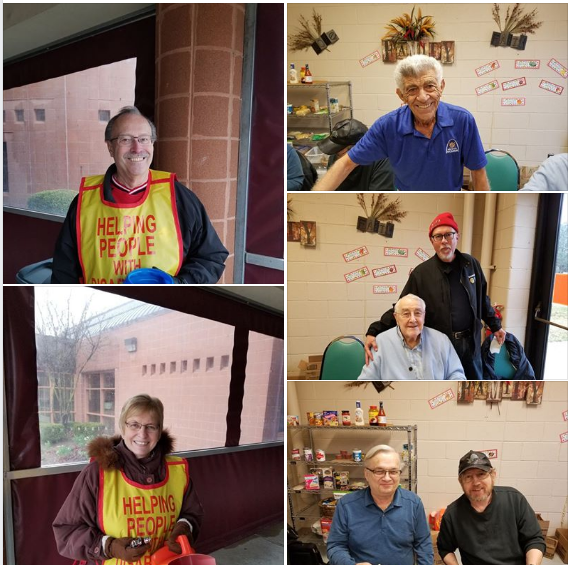 Thank you to Jeff Gapczynski, George Loewen, Ron Marrese, Craig Thomson and Dave Wisneski for volunteering to help the pantry deliver food to the homebound. This is another example of charitable works we can do to help those less fortunate in our community and assist another of our parish lay ministries. The council received our 2017-18 Father McGivney & Founders Award at the State Chaplain’s Membership Tribute Banquet on Saturday, February 23 at DeCarlo’s. This award is the result of the hard work by our council during the last calendar year. We are continuing the hard work this calendar year! Thank you for everything you do! Representing our council at the banquet were Father Jerry (Council Chaplain), Ken and Christine Krause, Art and Janice Krygowski and Mike and Karla Hartel. The council has elected our representatives for the annual State Convention. Don’t forget to sell the state raffle tickets received in the mail. Be sure you place our council number on the stub and our council will receive $1 for every tick-et sold! This is the major fundraiser for the state. Thank you for signing up to receive the Holy Family Statue at Mass in support of Vocations. If you have not yet signed up, please consider doing so. The bind-er is located in the church gathering space. Thank you! Reminder, that our March General Meeting is an Open house Pot Luck. The entire family is welcome. Please plan to attend and bring a dish to pass! Meeting begins at 6:30pm. Look for the sign-up sheets for our next Texas Holdem and the MI Drive (Tootsie Roll) which are in April but will be here before you know it! Well winter has arrived with a vengeance as I write this report for our February newsletter. On this first week of ordinary time, we are reminded of the first miracle performed by Jesus. Thank you to Jerry, Ted and Lino for distributing our Christmas Ham & Kielbasa orders, and to everyone who helped from the sales in early December, purchasing the Ham and Kielbasa and unloading of the truck on the Thursday before Christmas. Fundraisers like this would not be possible without all your support! Thank you to Al Soulliere, Frank Burda, Hank Leflere, Bill Pirrami, Ray Coughlin, Larry Orzechowski, Rich and Matt Miller, Teresa, Eli and Steve Szypa for helping Ken Krause with taking down the outdoor decorations at church on January 6. One hour and ten minutes! A new record! Also on January 6th after the 9:30am Mass, our Council sponsored Coffee and Doughnuts. Thank you to Frank and Janice Burda, Rick and Pat Okerhjelm and my better half Karla for helping with this event. Early January was a difficult time for our council. The Lord called home Brother Knights Joe Roehrig and Joe Marheineke. Our council and St. John Neumann Assembly held a rosary service for Joe Marheineke. Per Joe Roehrig’s request, his family will have a Memorial service this Spring, where the council can have a Rosary. Both Brothers were veterans and active council Members, and will be missed. Please keep them and their families in your prayers. At our January meeting, Ray Ignatowski wanted me to share a note he received from a retired, out of town, Senior, Brother Knight Dr. Owen Dueweke. He is an Honorary Life Member with 63 years of membership in our order. “Ray – The years have ‘Gone By’ since we left St. Paul over 20 years ago. I look forward to monthly council updates. Many of our friends were in the council. Way back in 1957 the Lakeshore Council paid my life insurance while I was a medic in the Army.” So I encourage anyone who chairs an event to please take the time to send a brief article to our editor for the newsletter. It does matter! Membership Director Phil Mularski has had the first membership committee meeting in early January. A council membership drive is under way. 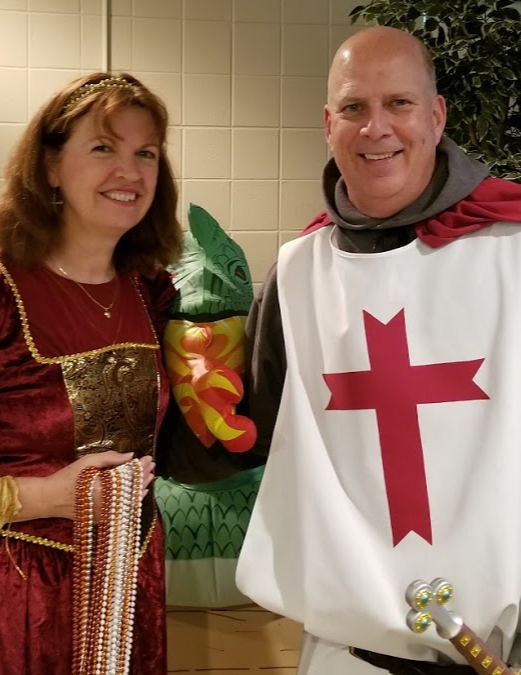 The Knights will be talking at the end of each Mass on the weekends of January 20 and 27 with an open house scheduled after each Mass on the weekend of February 3. If a new candidate turns in his application form for our council, they will receive a free pancake breakfast! We need everyone to help with encouraging our brother Catholic men to consider joining our order. 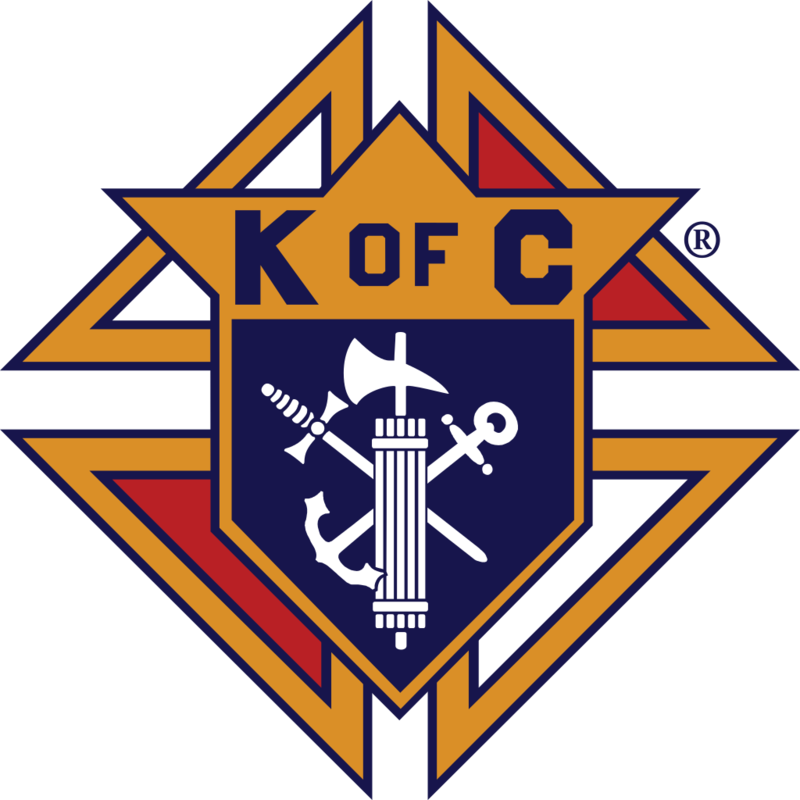 There will be a K of C table set up in the gathering space each weekend. Please pick up some information and ask your fellow parishioner to consider taking this opportunity to share his God given Time and Talent. A major degree is scheduled for Saturday February 16 at St. Isidore. Joining Phil on the membership committee is Leon Berdy, Nick Oliveri, Rick Okerhjelm, Art Krygowski and Mike Hartel. Thank you! We will be judging the Keep Christ in Christmas posters at our January meeting. Awards will be presented at our March pot luck meeting. At press time, we have a few spots available for our euchre party coming up after 4pm Mass on January 26. Proceeds will be for Abigayle Ministries. If anyone needs to take ‘Protecting Gods Children Class’ there is one coming up on January 30 at St. Lawrence. Everyone needs to have taken the class and agree to a background check to help out with our Fish Fry, Easter Egg Hunt, etc. which are fast approaching. Our next council Pancake breakfast is coming up Sunday February 10. Please consider helping. If you cannot help, please consider taking out the family to breakfast after Mass! Proceeds go to St. Louis Center – Which is a caring, residential, family living and learning environment providing for the physical, emotional and spiritual needs of children and adults with intellectual and developmental disabilities. If you plan to help in the dining room, please plan to arrive by 8am. Black pants with a white shirt. Gentlemen should wear a tie. Don’t forget to sell the state raffle tickets received in the mail this fall. Be sure you place our council num-ber on the stub and our council will receive $1 for every ticket sold! This is the major fundraiser for the state. We have restarted presentation of the Holy Family Statue at Mass in support of Vocations. If you have not yet signed up, please consider signing up. The binder is located in the church gathering space. Thank you! Reminder, that our March General Meeting is an Open house Pot Luck. The entire family is welcome. Please plan to attend and bring a dish to pass! At press time for this newsletter, we were still preparing for Christmas. The Ham and Kielbasa pick-up was fast approaching and Christmas was still about a week away. I hope everyone had a Merry Christmas. As the Christmas holiday begins to transition into a new year, I see the beginning of Lenten events starting to appear on the calendar. If anyone needs to take ‘Protecting Gods Children Class’ there is one coming up on January 5th at St. John Vianney. Everyone needs to have taken the class and agree to a background check to help out with our Fish Fry, Easter Egg Hunt, etc. I would like to announce that Father Jerry is officially our Council Chaplain! Thank you! Please welcome two new Brother Knights to our council. Brother Kevin Kennedy transferred and Brother William Rochefort reapplied to our council. Welcome Kevin and William! Our worthy Youth Director Art Krygowski and I handed out coats for kids at Erie Elementary School at the end of November. Additional coats were handed out at the pantry shopping event held at Meijer. Art had the posters distributed for the Keep Christ in Christmas poster contest for the students. The posters are due in January. Awards will be presented at our March pot luck meeting. Thank you to Al Soulliere, Steve Kargenian, Frank Burda, Hank Leflere, Leon Berdy, Bill Pirrami and Jeff Gapczynski for helping Ken Krause with the outdoor decorations at church on 12/1. I would like to thank our St. Paul of Tarsus pantry for the $500 gift card our council used to purchase groceries for Gianna House. Many thanks to Bruce Arnold and Hank Leflere who helped me shop for the 5 carts of groceries and deliver them to Gianna House for starting their pantry. The building renovations, to the former convent for St. Veronica Catholic Church in Eastpointe, are almost complete. The funds collected with the baby bottle drive we held in June helped with the renovation work. They have done a wonderful job! Gianna House accommodates up to seven teen residents, 17 years of age and under and their infants, and also serves as a pregnancy center for all pregnant women, providing them with an alternative to abortion. The first families are scheduled to arrive in January. Please include Gianna House in your prayers as they begin their important work in our community! At press time, Jeff Gapczynski is still taking reservations for the upcoming annual casino trip. Please consider helping our Membership Director, Phil Mularski, with the membership committee we are forming. We need everyone to help with encouraging our brother Catholic men to consider joining our order. We have a euchre party coming up after 4pm Mass on January 26. You can sign up at the January meeting. An article will be in the church bulletin for the two weekends prior to the event. We have restarted presentation of the Holy Family Statue at Mass in support of Vocations. The purpose of the program is to help promote Vocations with a show of public support and to help remind us to keep vocations in our daily prayers. There is a sign-up binder located in the gathering space for parishioners to sign up to receive the statue. Please consider signing up for receiving the Holy Family Statue to help get the program off to a good start. Thank you to all of you who have been at the meetings regularly. Please consider calling someone you haven’t seen for a while and ask how they’re doing. See if they’re in need of a ride or friendly remind-er when the next meeting takes place. Right after our November newsletter was released, the council held our 6th Annual Trunk or Treat. Due to the weather, the event was brought inside. We estimated over 130 kids attended. We were able to squeeze in some hay rides when the weather did let up. Thank you to everyone who attended and helped out Art and Janice Krygowski & Ray and Lorri Coughlin with this event! Thank you for your generous donations for Holy Cross Services. The donations are greatly appreciated! Our council participated in the District Free Throw Contest in early November. Thank you to our Youth Director Art Krygowski and those who participated and helped with this event. We hosted our District Corporate Communion just before Thanksgiving. There was a good turnout from our council and our district. From our district, we had our District Deputy, Former District Deputy and four of our Districts’ five Grand Knights in attendance. Our council also sponsored coffee and donuts after the Mass organized by Rick Okerhjelm! Thank you all for participating! The Lord has called one of our Brothers home. Brother Larry Novak passed on Monday, November 19th. Larry just transferred to our council earlier this year. Please keep Larry and his family in your prayers. During the week of Thanksgiving we had many volunteers helping at St. John’s for MCREST. Thank you everyone for helping our chairman Ray Coughlin with this very worthy cause for those in our community who are in need at this time! Jeff Gapczynski is still taking reservations for the upcoming annual casino trip. Please see the newsletter article and flyer for additional information. Please consider helping our Membership Director Phil Mularski with the membership committee we are forming. We need everyone to help with encouraging our brother Catholic men to consider joining our order. Art and I will be handing out coats for kids soon at Erie Elementary School. With the support of Father Jerry, Deacon Marc and the Worship Committee, we have restarted presentation of the Holy Family Statue at Mass in support of Vocations. The purpose of the program is to help promote Vocations with a show of public support and to help remind us to keep vocations in our daily prayers. There is a sign up binder located in the gathering space for parishioners to sign up to receive the statue. Please consider signing up for receiving the Holy Family Statue to help get the program off to a good start. As the holiday season is upon us, let us remember to Keep Christ in Christmas! If you need a new Keep Christ in Christmas lawn sign or button, we will have some available during our Ham and Kielbasa order dates after Mass. Also, look for our district sponsored “Keep Christ in Christmas” sign on the electronic billboard along M53 at 29 Mile from Thanksgiving through Christmas.